Brawl Stars has kicked off new star-studded promo series Brawl With The Stars with a Stranger Things collaboration. Hosted by Brawl Stars YouTuber Chief Pat, the first in the celebrity marketing campaign saw Stranger Things actors Finn Wolfhard and Caleb McLaughlin take part in a rapid-fire tournament with the public. Pat is notably a veteran in the mobile esports space, as CEO and founder of Tribe Gaming, while his YouTube channel - where Brawl With The Stars is hosted - has over 2.5 million subscribers. Celebrity promotions aren't unheard of in mobile gaming. Late last year, Peak Games took a $100 million bet on Ryan Reynolds to promote Toon Blast. With the game making $200 million by the end of its first year, that bet appears to have paid off. 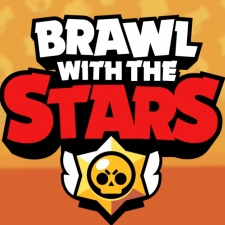 Big name partnerships don't come cheap, but Supercell may have plenty of money to burn on future Brawl With The Stars guests. Brawl Stars is already shaping up to be the company's next billion-dollar success story.